A tout seigneur, tout honneur: Alan Fairs campe un Falstaff plus vrai que nature, truculent et roublard, réussissant en même temps à rester sympathique en n’accentuant ni le ridicule ni la méchanceté de son personnage. On se demande même comment Alice reste fidèle à son mari et ne se laisse pas séduire par le bedonnant chevalier, car sa prestation vocale n’appelle que des éloges, notamment dans son monologue au début du dernier acte. To a complete gentleman, complete honour: Alan Fairs portrays a Falstaff who is larger than life, truculent and wily, succeeding at the same time in remaining sympathetic by accentuating neither the ridiculousness nor the recalcitrance of his character. One even asks oneself why Alice remains faithful to her husband and does not allow herself to be seduced by the portly knight, whose vocal delivery calls forth nothing but praise, notably in his monologue at the beginning of the final act. Alan Fairs is an accomplished soloist for concerts of oratorio, with considerable experience and a very extensive repertoire. He has performed for well over 100 choirs, choral societies and festivals throughout the United Kingdom and overseas. A very popular guest artist, he is regularly asked to return for repeat engagements. In recent years, Alan Fairs has also been on demand in the world of opera, where he has worked with English National Opera, Welsh National Opera, appears regularly in principal roles with Scottish Opera, and has made his principal debut at the Royal Opera. He has recently performed the roles of Raimondo (Lucia di Lamermoor), Alberich (Rheingold), Le Comte des Grieux (Manon) and Falstaff (title role) and attracted critical acclaim, particularly for the quality of his singing. He returns to Scottish Opera next year as Monterone in Rigoletto. Oratorio engagements have included Messiah at the Royal Albert Hall, and subsequently Brahms’ Requiem and Elgar’s Coronation Ode, with Sir David Willcocks. 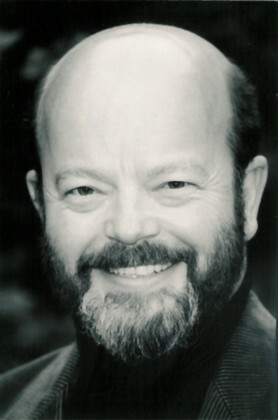 He has performed with the Royal Liverpool Philharmonic Orchestra in Gounod’s Messe Solenelle at the Three Choirs Festival, with the City of Birmingham Choir and Symphony Orchestra in Handel’s Messiah, and on many occasions with the English String Orchestra, in Handel’s Messiah, Beethoven’s Choral Symphony, and Mozart’s Requiem. At the Istanbul International Festival, he has performed Haydn’s Creation and Beethoven’s Missa Solemnis. He performed two concerts (Messiah and Dream of Gerontius) in the same season for the Leeds Philharmonic Society at Leeds Town Hall conducted by Dr Donald Hunt. Recent engagements have included Handel’s Messiah with Dr Donald Hunt and the English Symphony Orchestra, a performance of Dvorak’s Stabat Mater for the Kidderminster Choral Society, and he has stepped in at hours’ notice on three occasions in the last year to replace colleagues who were indisposed, to perform Verdi’s Requiem, Rossini’s Petite Messe Solennelle and Haydn’s Creation. "In the title role, bass Alan Fairs, stepping in at the last minute, was richly resonant and patriarchal. He succeeded in making his great Part 2 aria “It is Enough” sound world-weary, steering it away from any hint of self-pity."